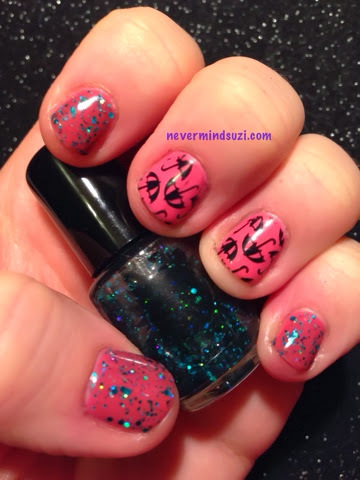 I decided to recycle my mani (Ciaté - Kiss Chase). 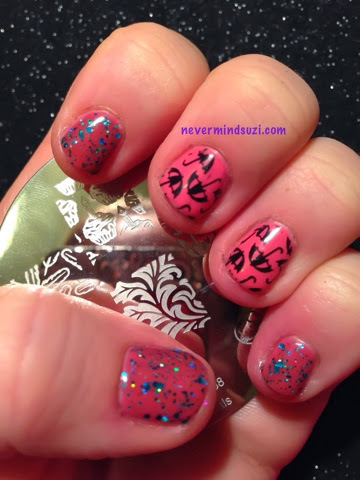 This was done by adding an awesome indie and some stamping. I used 365 Days of Color - The Boy Who Lived. This is a black jelly with stunning teal holographic glitters. I also used GA38 from the Gals Fairy Set to add these cute umbrella's. 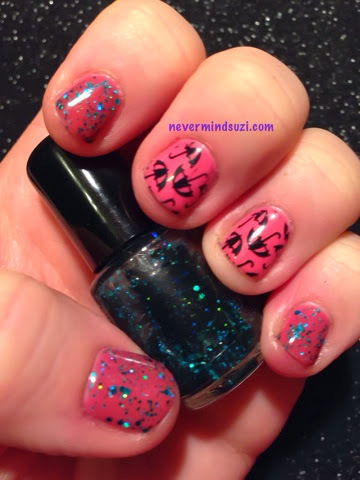 This mani was fun to wear.